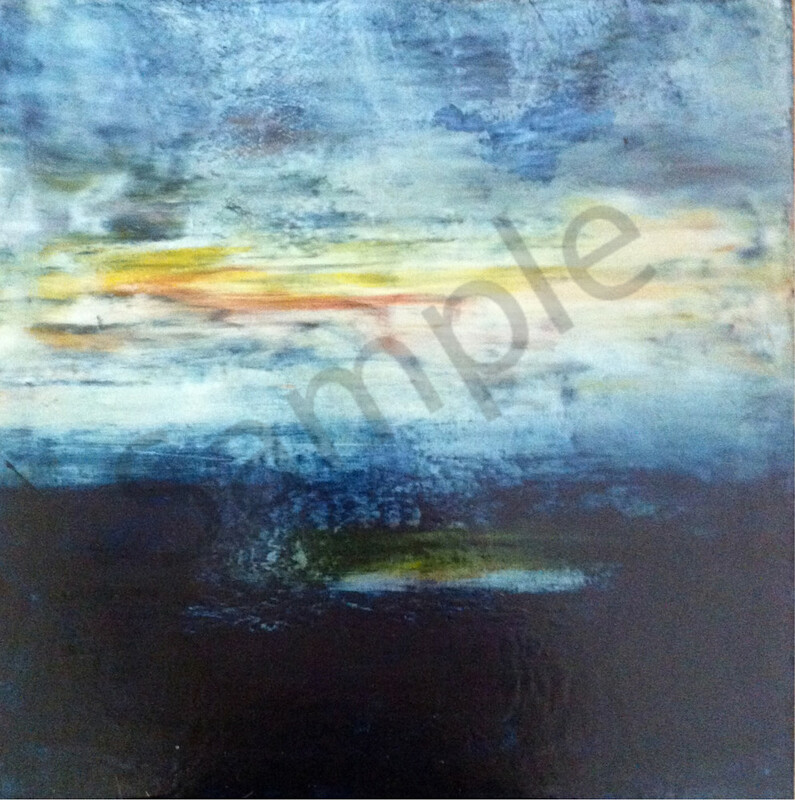 Blue Skies Sunset is a colorful square format landscape seascape oil and cold wax painting. Blue Skies Sunset is a colorful square format landscape seascape oil and cold wax painting by Mark Witzling. Prints on canvas or paper work well, whether in your primary home or at the shore. Keep in your office to remind you of the weekend trips to the water!